The Doctors shared that the one thing worse than having a really bad day is having a really bad day caught on camera. They shared a video of a woman who reportedly missed her ferry by a few minutes and then threw a total temper tantrum, squealing, screaming, and stomping her feet. The Doctors said they felt sorry for her, explaining that she was from the British Columbia, and it was good that she didn’t release her anger out on the worker, but instead just out “to the air.” Dr Travis Stork said when he has a temper tantrum, he doesn’t make any noise. Dr Rachael Ross said she used to get really short fused but now she has a long fuse before the explosion happens. Dr Stork said whenever you’re about to lose it, take a few deep breaths and try to think before you completely go off. The Doctors then moved on to share that a new study found that a more a man posts pictures of himself on social media, the more likely he is to have narcissistic or psychopathic personality traits. If the guy has a tendency to edit his selfies before posting them, he scores even higher on the psychopath scale. Dr Ross said if your guy is taking more selfies than you are, it’s a problem because he could be a bit self-absorbed. She said she’s on the border about it, but studies have shown it to be true. They then showed a picture of Dr Ordon taking a selfie with the full “duck lips” as well. The study showed that men who take a lot of selfies lack empathy, are more eccentric, and are more likely to be psychopaths. Dr Jennifer Ashton said the study is based on association, not causation. She said it doesn’t show cause and effect yet, and Dr Ordon said the study shows it applies to women as well. The Drs: Free Meal For Good-Looking Customers? The Doctors also shared that eating out can get expensive, “unless you’re ridiculously good looking and happen to swing by this certain restaurant.” One restaurant has caused quite a bit of controversy by letting their most attractive customers eat for free. Before they’re seated, customers are taken to a “beauty identification area” where their faces are evaluated by a panel of plastic surgeons. Each day, the 50 most attractive customers get their entire meal comped by the restaurant. The surgeons hopes this encourages the less-attractive diners to visit their clinics. Dr Ordon said the surgeons are looking at certain things like symmetry. Dr Stork said the doctors are simply trying to increase their client base. Dr Stork said he would rather move on and talk about something that makes us all happy: wine and ice cream. For those who can’t decide between the two, Mercer, a company in New York, has developed wine ice cream. It contains 5% alcohol, but could it be considered over-indulgence? The Doctors were trying the ice creams, and Dr Ashton said when she went to medical school she never imagined her job would be that much fun. There were flavors like red raspberry chardonnay and chocolate cabernet. They all agreed that the ice cream was delicious, and explained that you have to be 21 years old to consume, it because a pint of the ice cream has roughly the same amount of alcohol as a beer. 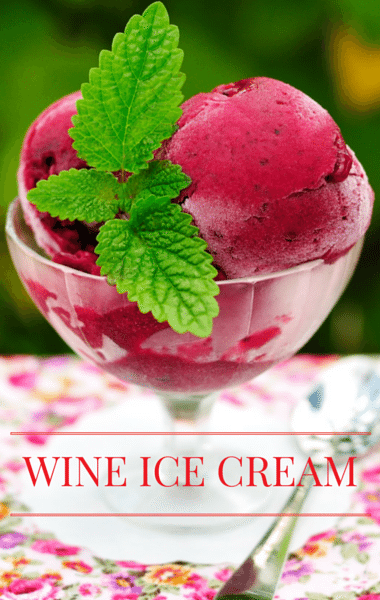 Dr Stork said realistically, he would rather just have a glass of wine with a bowl of ice cream, “but it’s a genius concept.” He said if you’re going to indulge in a dessert, you don’t have to go with fat-free, and this is “legit real ice cream.” The problem is that it has 300 calories per serving and 14 grams of fat. A serving is a half a cup. So that’s not such good news! The company will apparently ship the ice cream on dry ice and Dr Ashton and Dr Ross admitted they were feeling a bit tipsy just from trying out the ice cream!